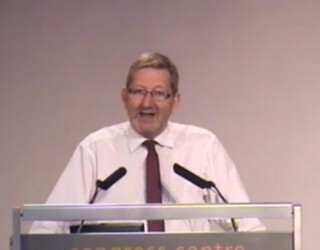 This is the full text of the speech given by Len McCluskey, general secretary of Unite. This is not a debate most of us wanted to be having. This Congress and most affiliates went into the European Union referendum campaign determined that remaining in the EU was the right choice for working people. We took that case up and down the country, and fought for the voice of working people to be heard in a campaign dominated on both sides by Tories. But we did not prevail. And now this movement has to pick up the pieces. Fight to protect workers’ rights. And to defend jobs, against the background of an unsympathetic government and growing economic uncertainty. We also need to recognise why we lost – above all, why so many industrial communities, as this composite recognises, voted to Leave. It shouldn’t be a mystery. Far too much of Britain has been left behind by globalisation. Whole industries have disappeared, leaving communities derelict and generations without hope. Add to that austerity and cuts in services on top, with relentless downward pressure on wages; and an elite that has passed the burdens of the crisis onto the less fortunate – and it is not surprising that millions of people, including significant numbers of our members, voted to give the establishment a kicking. But one thing has become very clear: No-one knows exactly what Brexit means. Business and the City are already pushing for their version of Brexit – one that protects their profits. And our first task is to ensure that the workers’ voice is heard loud and clear. And I want to congratulate Frances for her tenacity in demanding from the Prime Minister OUR PLACE in any negotiations. No reduction in workers’ rights. And an immediate end to the shameful racist backlash which has taken hold since the referendum. Unite has proved at Sports Direct that it’s greedy bosses who are to blame for driving down wages, not migrant workers. Nor must Brexit be used as an excuse by big business to cut jobs and investment in Britain. A shadow hangs over too many workplaces today – productive factories like Ford at Bridgend, who now have their future thrown into doubt. We are ready to work with employers to overcome any genuine problems that may exist. But we are not prepared to see Brexit used as a smokescreen for further disinvestment from Britain (AND I PUT FORD MOTOR COMPANY ON NOTICE). Out of the EU must not mean out of work. But we need to go further. The single market as it has been run up to now has prevented British governments from doing things we would otherwise have wished them to do. I welcome that the Prime Minister has introduced the concept of industrial strategy back into the name of the Business department. But we need that to be more than just words. I visited Port Talbot last week to see a magnificent workforce and a facility that has been betrayed by consecutive governments through lack of investment. We need state action to help save our steel industry as a priority. Finally, we need to hear the Government say without waffle or equivocation that they are not planning to use Brexit to strip British workers – already the least protected in Europe – of any of the employment and social rights they have secured from the European Union. If Theresa May’s one-nation social justice rhetoric means anything, it must mean at least that. We need to turn the challenge of Brexit, into an opportunity. An opportunity to reconnect with our members in abandoned communities. And start the debate as to what sort of country we want Britain to be.